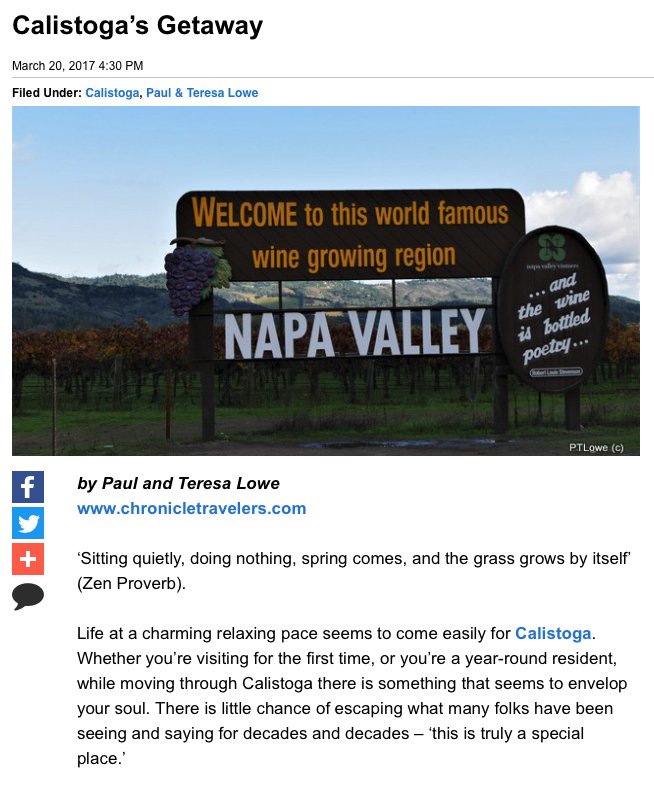 We are excited to have been recently featured in the article, Calistoga’s Getaway, by Paul and Teresa Lowe. 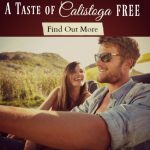 They detailed what a trip to the Calistoga area is like, including staying with us at the Calistoga Wine Way Inn or Craftsman Inn. Check out what they had to say and read the full article here. We were thrilled to host this lovely couple and we appreciate their kind mention of us. Are you planning a Calistoga getaway yourself? Pack your bags for Napa Valley and head to one of our Calistoga bed and breakfasts to have this enjoyable experience for yourself! Book your stay today. Book 3+ nights now through June 30th 2019, and receive our most popular package, a $200 value – for FREE!